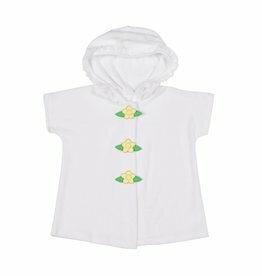 Baby Girl Terry Hooded Cover-Up with Yellow Flowers. 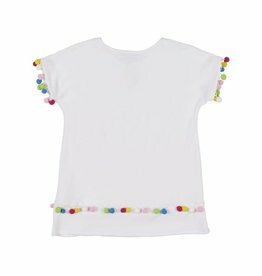 Girls Terry Cover-up with Pom Pom Trim. 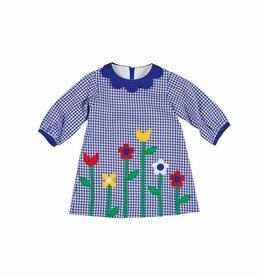 Royal Check Dress with Appliqued Flowers. 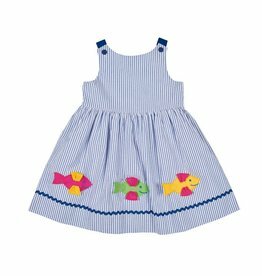 Seersucker Sundress with Fish Appliques. 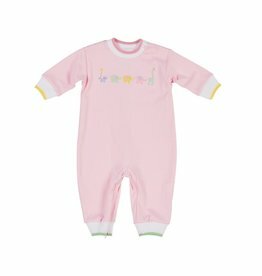 Pink and white striped romper with strawberries embroidered on the collar. 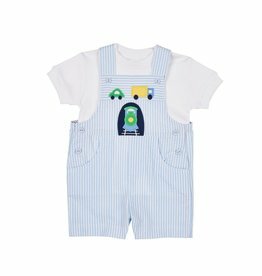 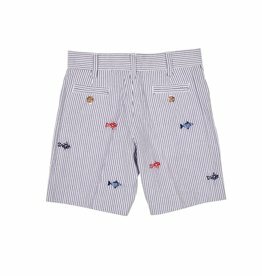 Seersucker Shorts with Fish Embroidery for boy. 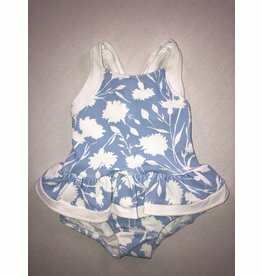 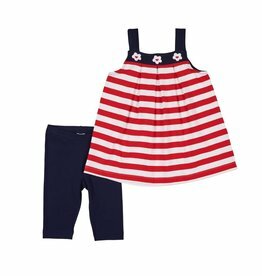 Blue floral skirted swimsuit for baby girl.